Beans and legumes, including peas and lentils, are an excellent source of plant-based protein. Beans are found in most traditional cultures as a staple food, offering grounding and strengthening properties that enhance endurance. They offer a highly usable, highly absorbable source of calcium for the body. A very inexpensive source of high nutrition, beans can be rich, delicious and satisfying. 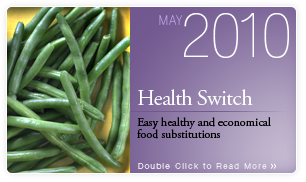 Beans and legumes can be a very economical substitute for meat. Beans are known for strengthening your adrenal glands and kidneys, (ever noticed the shape of a bean?) and can help restore vital energy. Quinoa (pronounced keen-wah), is a nutritional powerhouse with ancient origins. It was originally cultivated by the Incas more than 5,000 years ago; they referred to it as the “mother of all grains.” It contains all nine essential amino acids, making it a great vegetarian source of protein. Quinoa is also high in magnesium, fiber, calcium, phosphorus, iron, copper, manganese, riboflavin and zinc. While quinoa is widely considered a grain, it’s actually the seed of a plant called Chenopodium or Goosefoot, related to chard and spinach. Quinoa is a gluten-free grain and has a similar effect as other whole grains in helping to stabilize blood sugar. It has a waxy protective coating called saponin, which can leave a bitter taste. For best results, rinse quinoa before you cook it or even soak it for a few hours or overnight. When cooked, it has a fluffy, slightly crunchy texture. Try it in soups, salads, as a breakfast porridge or as its own side dish. For quinoa, and whole grains in general, the majority of digestion occurs in the mouth through chewing and exposure to saliva. For optimal nutrition and assimilation, it is vital to chew your grains well and with awareness. A great practice is to find a calm place, without distractions, to sit down for your meal. Make it a habit to chew each bite 20 times or more. See how this simple practice can help your digestion and overall focus for the rest of your day. 1. In a medium saucepan, heat drained beans. Add your favorite seasonings. 1. Rinse quinoa in fine mesh strainer until water runs clear.